Nihao!你好! My name is Jun Yin but I also go by Bonnie. I am from Kunshan, Jiangsu, China. I speak Mandarin and English. I came to the States U.S in 2012 and received my master degree in Curriculum and Instruction with K-8 elementary teaching certificate from Northwest Nazarene University, Nampa, ID. 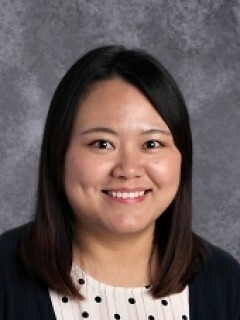 I had taught Mandarin to students from 1-8 as a part-time teacher for two years and I did my full time student teaching in two immersion classrooms in Idaho. Thank you for supporting our dual language immersion program! I am excited to teach in the fifth grade Chinese immersion classroom this year!